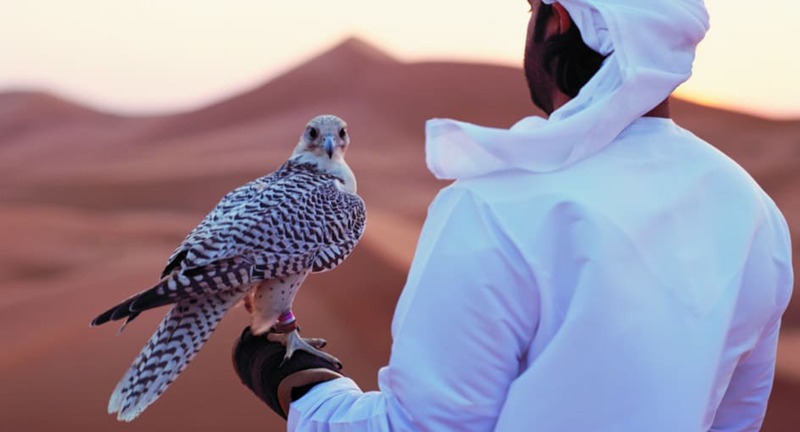 Watch the hunters of the desert take to the sand and sky in Abu Dhabi. The Arabian Peninsula has played host to royal hunting parties for centuries. Prized companions include the eager-eyed falcon and the fast-as-the-wind desert dog, the saluki. Watch the pair take to the sky and rolling dunes in a hunting demonstration. Meet the trainers of these highly intelligent creatures, and get up close.